There was finally a break in the clouds last Sunday, so we decided to go to the Lake to enjoy the good weather. The boys had a great time chasing each other and running in piles of leaves. They met some other pups that were out on the trails as well and while the water at the lake was quite chilly they managed to get their paws wet while climbing on some of the rocks at the lake’s edge. Content Pugs. These 3 pictures says it all. And just think, they are even more adorable now, gray hair and all. Oh My Gosh! Such little babies! I love the young ‘ens, but you can’t fault them when they get older and there is wisdom in their faces! Great Flashback! Not to worry about the combination, Sue. The pug-BT seems to be a very popular combo. We have several people in our pug group with that combo and they do just fine. I’m so sorry for your loss and I will miss the blog for sure. I have loved seeing other pug parents and their babies and it’s given inspiration and encouragement to me and my pug Binky. Thank you for time over the years and for the posts. Sounds like we are the same age and without kids, the pug is my baby Got to love them for sure. They do make you laugh and I hope you have wonderful memories of yours. Very sorry to hear about closing the blog. 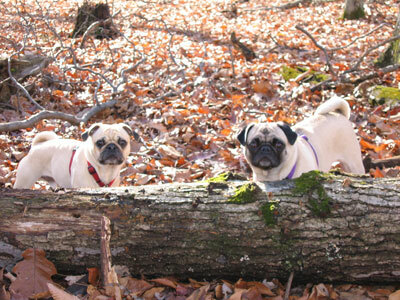 My husband & I have enjoyed the ups & downs of the pugs & cat over the years. We hope you’ll be back in the pug way as soon as your heart will let you. You have a way with words & a camera. I am sorry, too, that your blog will be no more. I totally understand how tired you both must be by now. It is remarkable how so many people from all over the world have come to love your pugs and you and your extended family. Patricia is right: you do have a way with words and your camera. I hope only the best for y’all and I will miss you dearly. Please take care of yourselves and give Cupid some sugar for me. Love and prayers. I am so impressed. you loved your babies the way I love mine, not only a loving companion, he was a therapy pet, with me at the hospital. he is still with me but blind and having bowel problems. I love him so!!! just wanted to let you know there are others out here with the same love, and determination for our babies! truly treasures!! My boy is still with me but in Gods hands, doin the best we can. Love you blog. Love to you from me and the Mugsey! I will miss all of you so much, I enjoyed your blog so much. I learned a lot from you about pugs and life in general, and got many laughs as well. 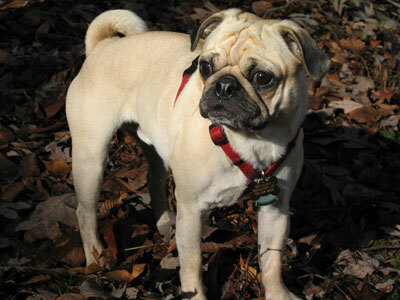 I have been owned by 6 pugs over the last 25 years and loved it. 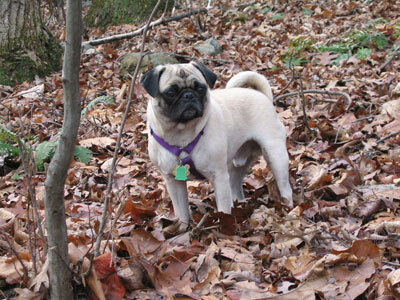 I hope you will be found by a lucky pug.